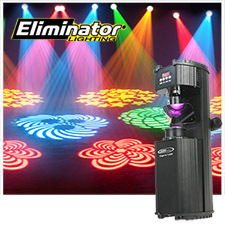 The Gyro LED from Eliminator Lighting is high intensity DMX LED scanner powered by a 25W bright white LED. 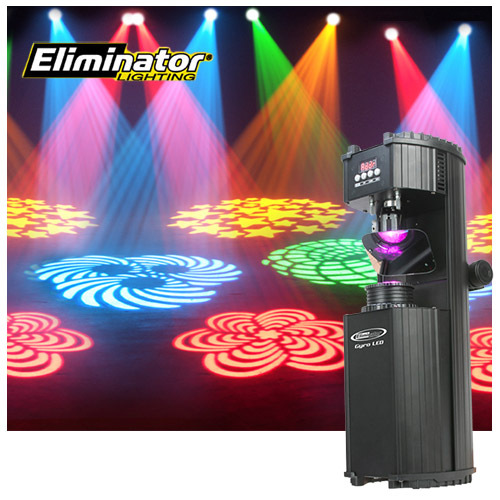 Compact in size, the Gyro LED becomes a versatile scanner that can be used in virtually any type of installation; whether it's at a backyard party or at an event hall, the Gyro LED will not disappoint. 4 button LED Menu for DMX addressing. Best of all, the Gyro LED can be linked with multiple fixtures via 3-pin XLR connections located on the bottom of the unit to create a higher impact light show!